In this final chapter of John’s gospel, Jesus appears to seven of the disciples that have gone fishing on the Sea of Tiberias (Sea of Galilee). 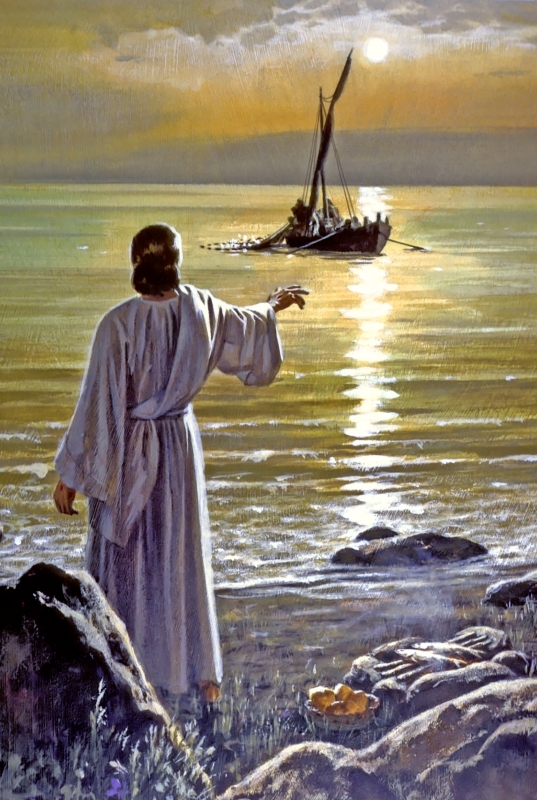 Appearing to them 100 yards from shore at daybreak, they did not recognize Him until they cast their net out where He told them – and then were unable to haul it in, so great was the catch (verse 6). John must have at once been reminded of the similar incident in Luke 5:4-6, as he exclaimed to Peter that “It is the Lord!” Peter, impulsive as usual, jumps in to swim to shore while the others drag the fish with the boat. Jesus had a fire going, and was cooking them breakfast. There have been many attempts to make some symbolic interpretation of the number of fish they caught (153) in verse 11, but fishermen naturally counted their fish before taking them to market. Verse 12 is simply an indication that even though they knew this was Jesus, the disciples were still getting used to the fact that He was alive again. Verses 15-19 make up the “feed my sheep” conversation between Jesus and Peter. Much has been written and discussed about the two different Greek words for love (agape and phileo) that are in the text. But the two words are used interchangeably in the book of John, and even throughout the Septuagint. It is no more valid to make something different of this than the two different words this very same text uses for “feed” and even “sheep.” There are only two things of significance. 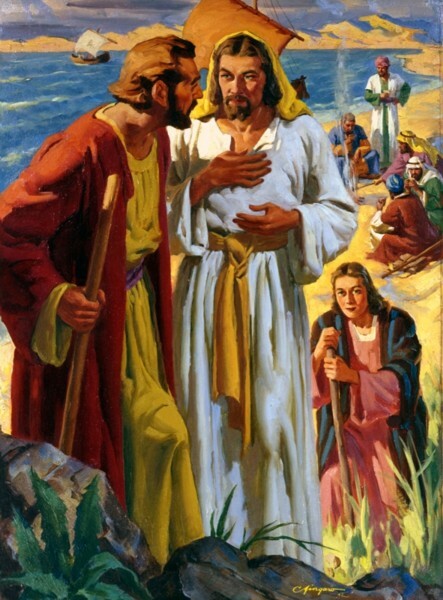 One is that Peter denied Jesus three times; and though it grieved Peter (verse 17) that Jesus asked him whether He loved Him a third time, Jesus knew that it would also be somewhat of a comfort to Peter later. The command to him to “feed my sheep” came from “the Good Shepherd” Himself (John 10:11,14) for Peter and the other apostles, and is carried forward to all elders to “shepherd the flock of God that is among you” (1 Peter 5:1-4, Acts 20:28). With verses 18-19, Jesus foretells Peter’s being bound and led to his own crucifixion. As this gospel wraps up, “the disciple whom Jesus loved” wants us to know that Jesus did so much more while He was here than was written about.